Meghan Markle may be royalty, but she still loves a pair of ripped jeans just like the rest of us. The Duchess of Sussex has already won over the hearts of fashionistas around the world with her style choices, from classic coats to cool-girl denim outfits. Known for inciting fashion frenzies whenever she steps out, Markle has caused designs from multiple brands to sell out within hours and even crashed some websites — all starting with the MOTHER jeans that she wore to her first public appearance as a couple with Prince Harry at the Invictus Games in Toronto last September. The Ankle Looker Fray jeans in Love Gun quickly became one of the most sought after denim styles racking up a waitlist of over 400 people. Thanks to “The Markle Effect,” the jeans instantly became one of the brand’s top sellers and finding a pair has been close to impossible — but not anymore. On June 26th, MOTHER restocked Markle’s go-style, so if you’re in the market for some jeans, we suggest getting your credit cards out now because we have a feeling that they won’t be in stock for long. 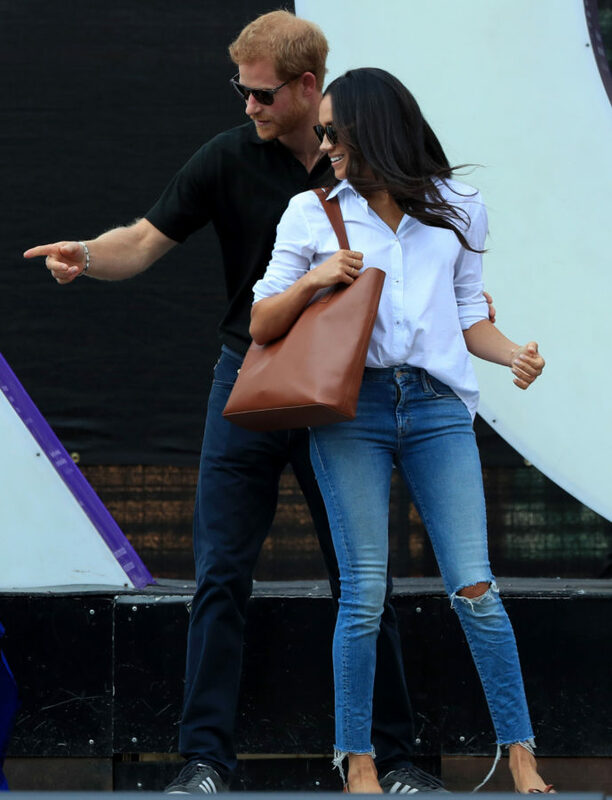 Don’t stress if you miss out on snagging a pair of Markle’s go-to MOTHER jeans during their restock: Revolve.com has a few currently still available and, since the brand is coveted by many stylish celebs, there are plenty of other cool styles to shop until the next restock. Scroll down to shop styles seen on Alessandra Ambrosio, Kristen Bell, Lucy Hale and Kate Moss.